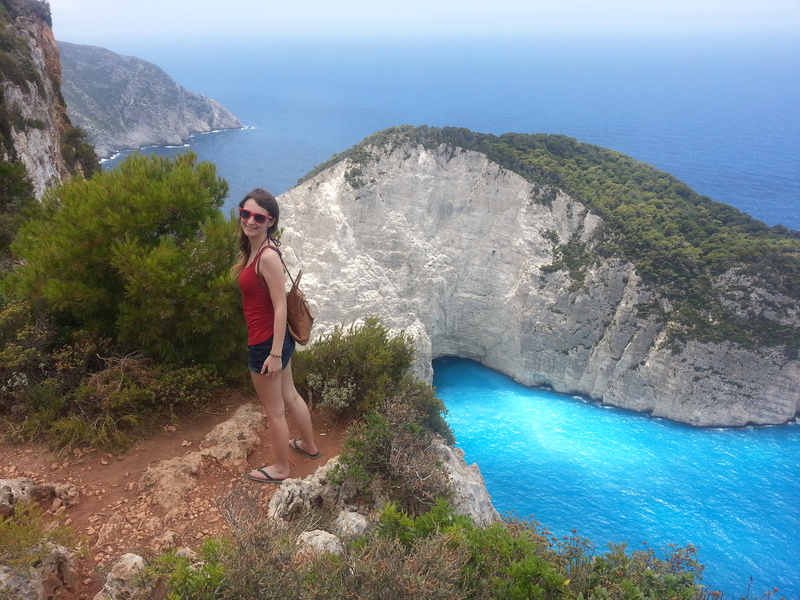 Chloe and I chose the Gorgeous Greek Island of Zakynthos for our annual mother-daughter holiday in June/2015. Every year the boys go fishing in France, and every year the girls go play in the sun! 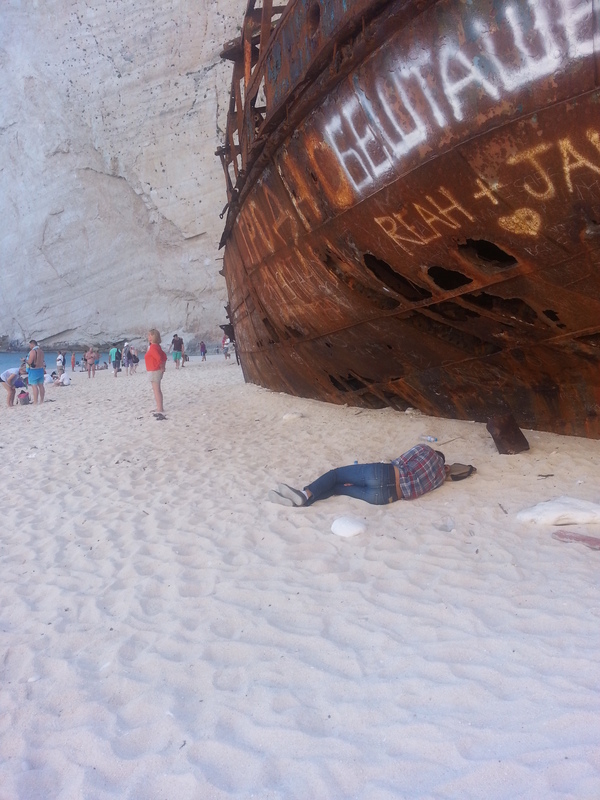 We had been in the Island for about 3 days already when we decided on a boat tour to the Island’s most famous landmark, Navagio Beach, also know as Shipwreck Beach. 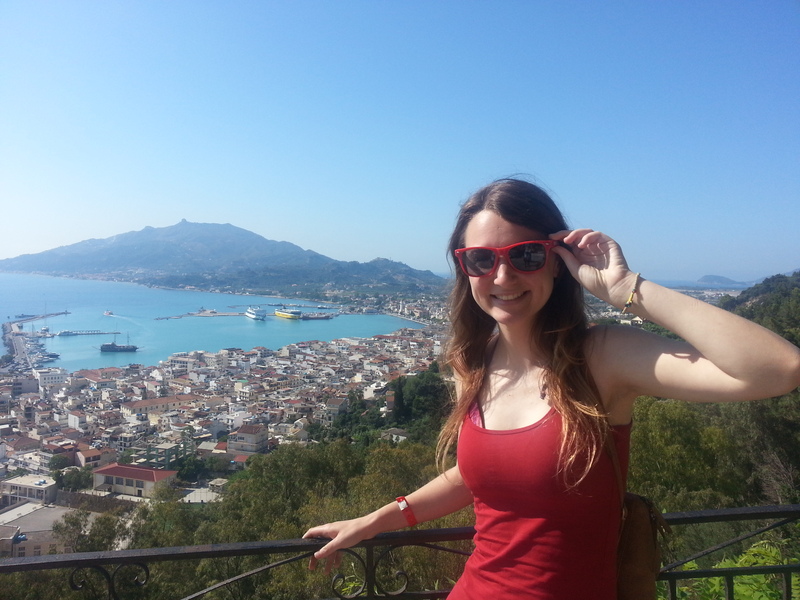 We chose to go with a tour company called “my Tours” and we were picked up from our hotel at about 7:30 am and taken to the Harbour Port in Zakynthos capital town, which was just about a 20 minutes bus ride away from our hotel. We boarded our glass bottom boat with another 20 to 30 fellow cruisers of various different nationalities and found ourselves a seat at the back of the boat, and under a canopy since the sun was quite hot already. 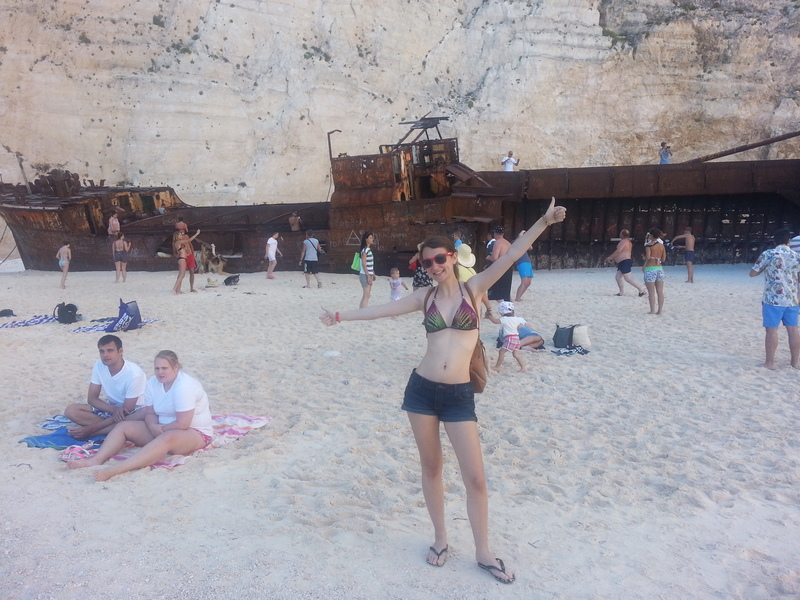 Both Chloe and I were very excited to visit the Shipwreck at Navagio Beach, which is a small cove on the Northwest side of Zakynthos Island. The cove is surrounded by high cliffs and accessible only by boat. 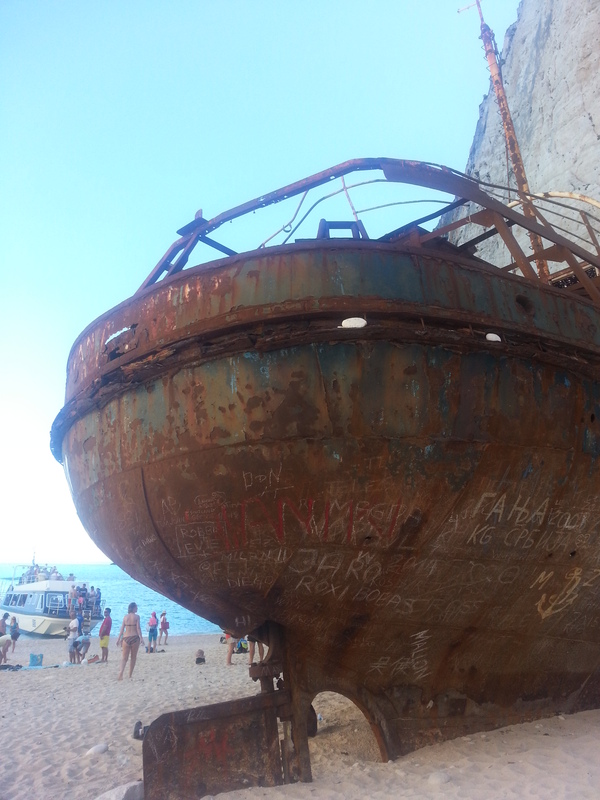 I had seen pictures of this beautiful little cove made of white pebbles and surrounded by turquoise water and heard the stories about the Shipwreck (MV Panagiotis) which sunk on the shore around 1980, apparently carrying smuggled cigarettes, and so I felt compelled to visit it. The boat trip from the main Island Port to the Navagio Beach is about a 1:30 hours and the sea looked calm like a pond, therefore I was surprised when a started to feel a little queasy and headachey. 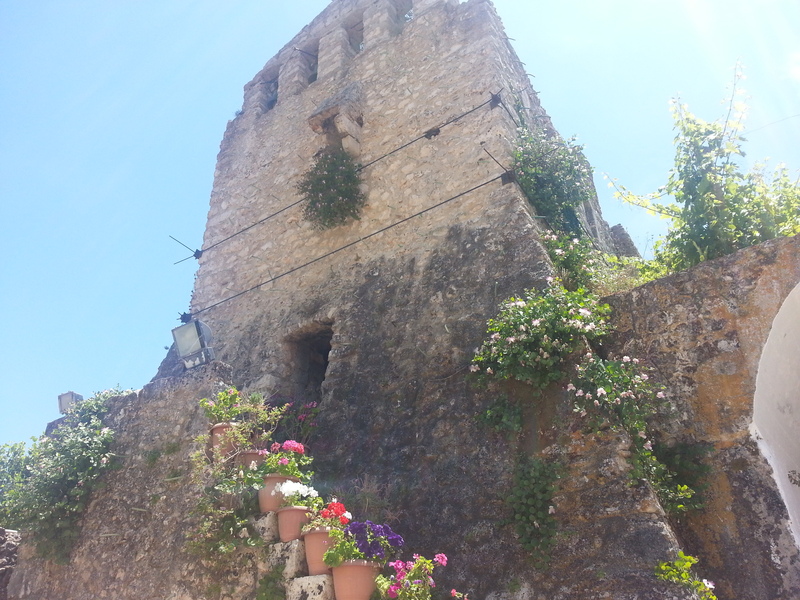 I tried to distract myself by looking at the pretty scenery of caves and white sandy beaches. In the distance we could see the pretty Island of Keffalonia, but the nauseous feeling just kept getting worse, I felt very hot and my heart started racing, I realised then that I was experiencing motion sickness, but there was nothing I could do to stop it since Chloe and I were not carrying any anti sickness tablets. A big mistake that I came to regret. 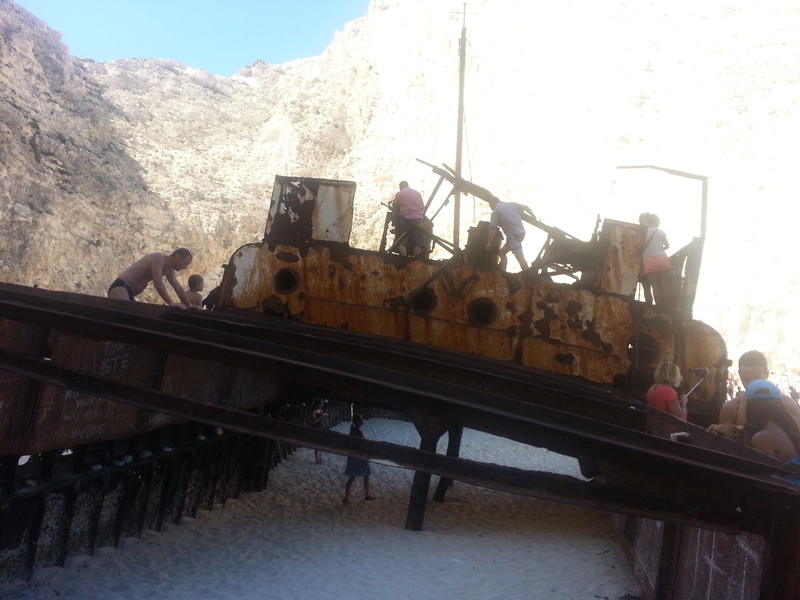 I was relieved when the Captain announced that we had finally arrived and we could go ashore to visit the Shipwreck. We both quickly managed to get off the boat and walk into the white pebbly beach, I was so relieved to be on “terra firma”. So we walked along the beach and I asked Chloe to take my picture in front of the Shipwreck, but seconds later I could feel another wave of nausea rising up and I knew then that I would not be able to do any exploring and all I could think about was how on earth was I going to get back into the boat in order to go home? We were told that we would be staying at the Cove for about one hour. Motion sickness is very unpleasant and although I was at a place that I badly wanted to explore, there was no way I could look or enjoy anything in my surroundings. I proceeded to empty the contents of my stomach at various different spots around the beach. Although I was not well to explore I really wanted Chloe to have a look around the Shipwreck, take photos and enjoy herself a little rather than just having to look after me the whole time. I reassured her that I was going to be OK and sent her off to explore. 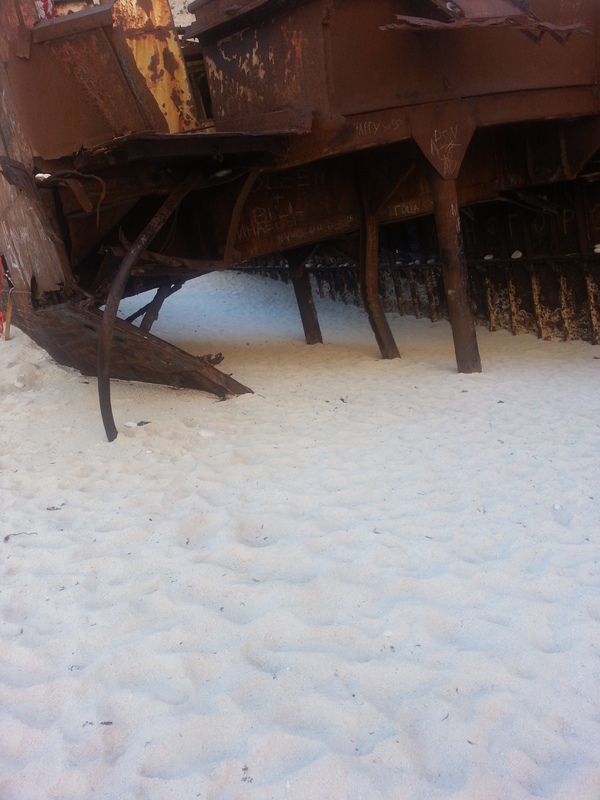 Inside the wreck, how safe is it for people to be walking all over it? and under it? Is this a good place for a nap? Or is this another case of motion sickness? Since I was very unwell, Chloe had to take control of the situation and become the mother. She worked out how to get us back into the right boat since I did not have a clue what our boat looked like; in fact at this stage all I wanted was to lie down somewhere and stay on “terra firma”. But even though I could not face another boat trip, we did not have any other option, since there was no other way of getting out of there. There were a few boats approaching the beach to pick up the day visitors, but Chloe was very confused about what boat to board, so she left me behind lying down on the sand and went to investigate. She did board the wrong boat, but the very nice and friendly Captain managed to contact our boat and then he was able to tell her which one of the many boats arriving back was ours. She then came back to get me, helped me to climb up the steps into our boat and this time we decided that it would be better to sit at the top deck. I continued to feel very unwell and so I laid across Chloe’s lap like a very sick child as she stroked my back and my hair and telling me we would be home soon and that it was all going to be alright. It felt very reassuring to be looked after and at this point I felt so glad and relieved that I was not doing this trip by myself, and it was so funny to think of our roles completely reversed from the times I had looked after her in this way when she was a little girl, seasick on the dive boat coming back from Ras Mohammed during one of our Egyptian diving holidays. Back at the hotel and after a good rest I soon felt much better and even managed to have some dinner later on in the evening. 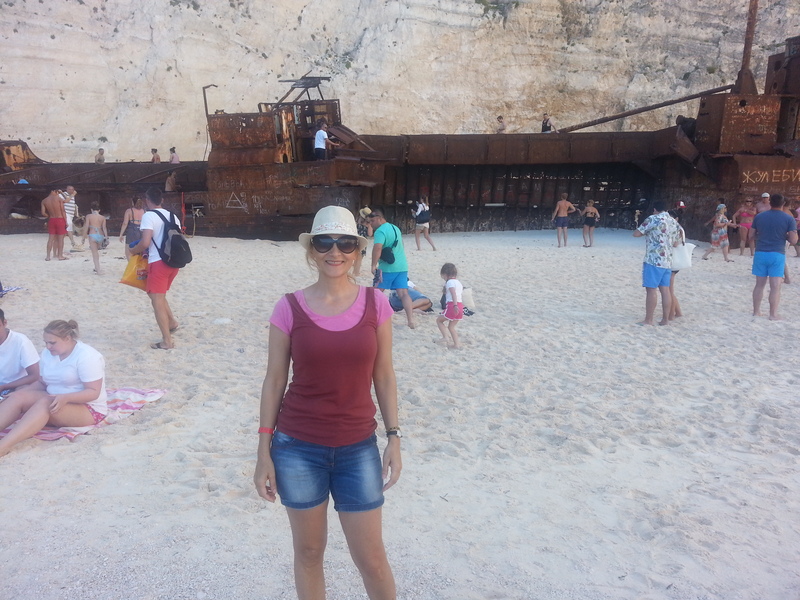 We had another excursion planned for next day with the same tour company, but this time to explore the Island by coach. To ensure no more motion sickness Chloe and I visited the nearest Pharmacy and got hold of anti motion sickness tablets, which next day proved to be very effective. Our coach tour was great, it picked us up from our hotel at around 8:30 am and we spent the whole day touring the Zakynthos Island, visiting traditional villages, old Monasteries, and wine tasting. 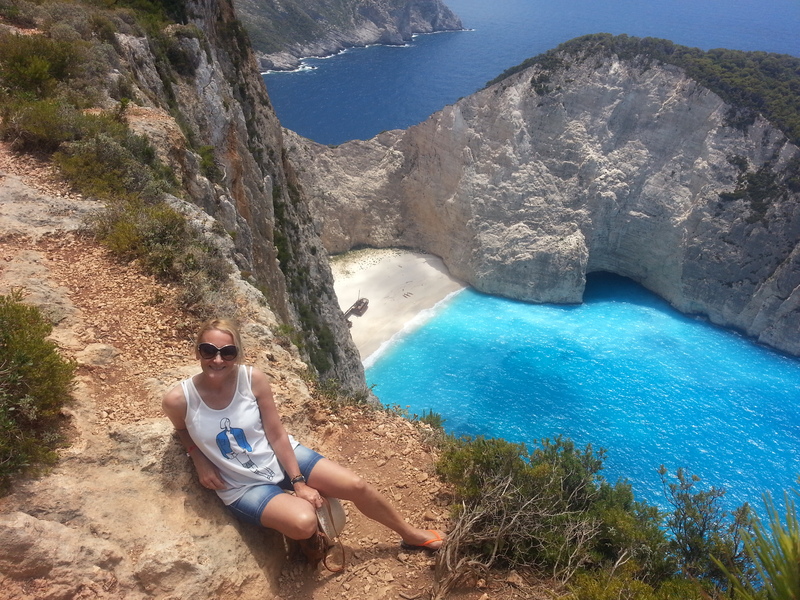 We also visited a farm where they produce extra-virgin olive oil and we stopped at a viewing platform to view the Navagio Beach or Shipwreck Cove from above. 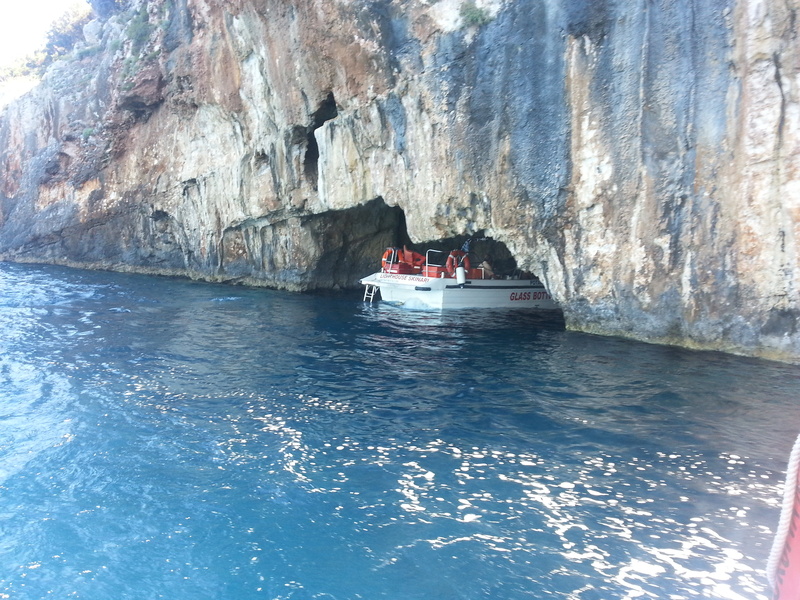 I was even brave enough to join a small boat tour to the Blue Caves. Zakynthos is the largest of the Greek Ionian Islands so there is plenty to see. 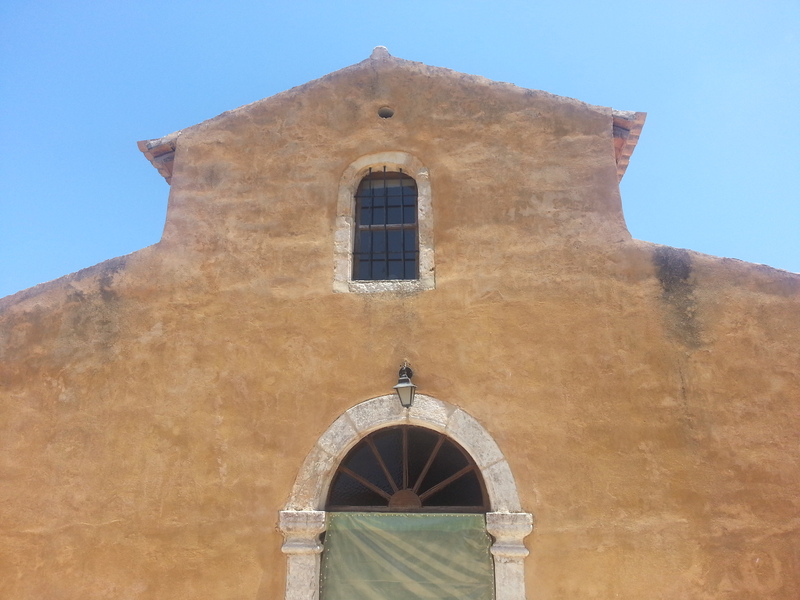 We started the tour at Zakynthos Town where we visited Agios Dionisios , the church of St. Denis, which is positioned right by the Town Harbour. 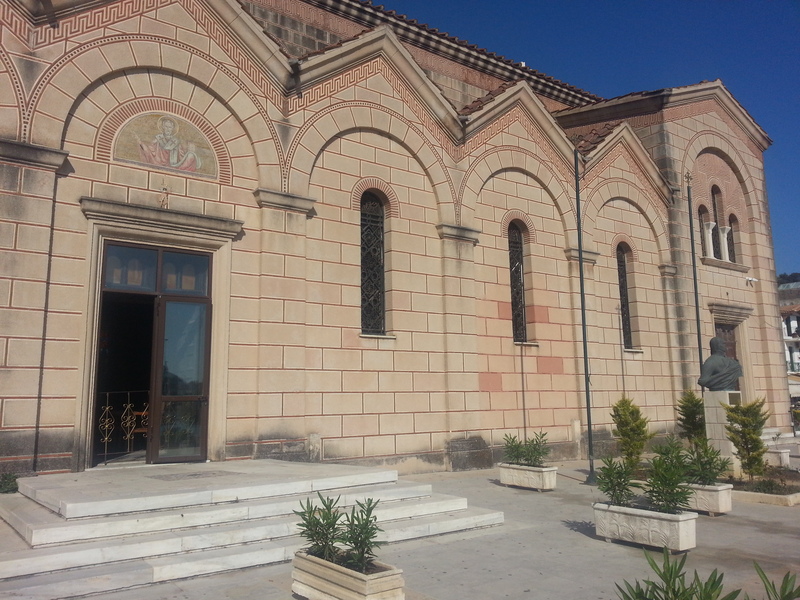 It is a Greek Orthodox Church, and from there we went up to Bochali to get some great views of Zante Town and Harbour. 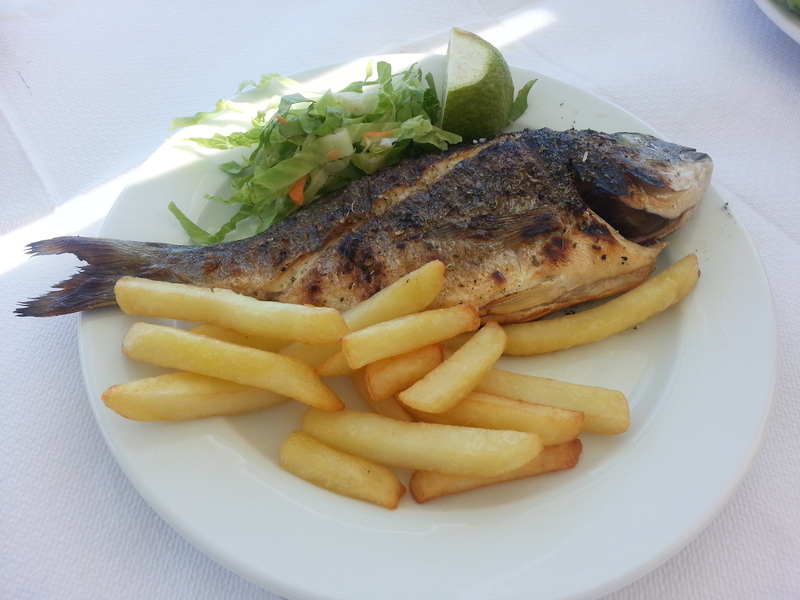 We stopped for lunch by the lovely St. Nicholas Port and found a gorgeous Greek Restaurant with great views of the little harbour and we enjoyed delicious grilled fresh fish, sitting right by the water front. After lunch we boarded a small speed boat to visit the Blue Caves, I have to say I was a little worried about motion sickness but trusted that the medication I had taken would keep me well. 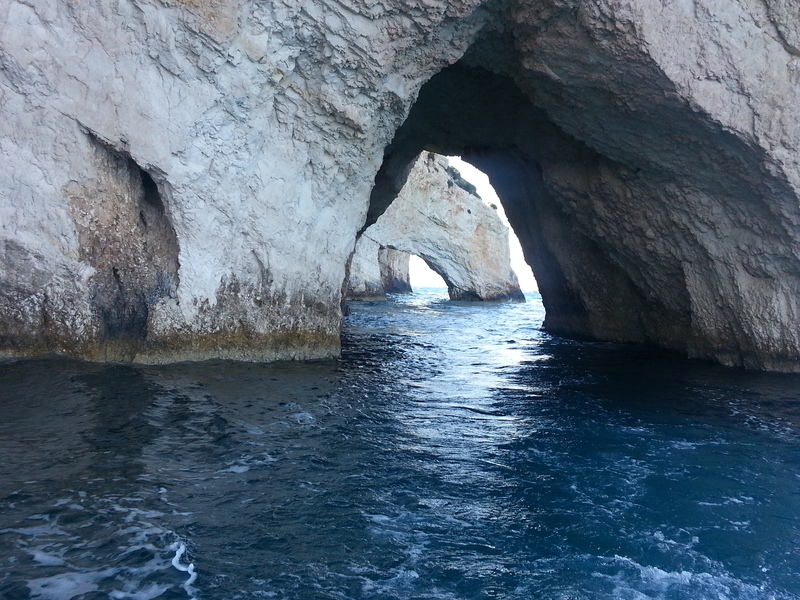 I did not have any problems at all and enjoyed these beautiful caves and amazing blue water very much indeed. although we did not have the opportunity to do any swimming since it was only a very short 30 t0 40 minutes trip, it was fantastic and I would recommend it. We spent our last two full days in the Island enjoying the Greek hospitality, lovely meals, lazy days at the beach reading books and girly chats. I will always treasure all of these very special memories with my daughter. Chloe and I are already planing our next girly get away some time in 2016, she is going on to her final year of her Pharmacy degree starting in October/15, so I think we will need to think of something very special to celebrate that. This reminds me that I need to buy some travel sickness pills for our boat trip at the weekend! I’m sorry to hear you were so ill on your first trip, but it sounds like you made up for it on the following days. It’s lovely that you have a dedicated holiday with your daughter every year; the last photo is beautiful, one to print off and frame I think! Hi Amy, I shall never forget travel sickness pills again, I learned the hard way. I hope Chloe will want to hang out with me again next year. Thanks for your kind comment about the photo, to be honest the low light was rather kind to me. Lovely photo of mother and daughter and it’s obvious you have a very special relationship. Greece is way up high on my list of places to see/visit. I love all of the blue and white and of course the sea! I get motion sick as well, but in the car… bleah! I do feel blessed to have her in my life, we are very close. All the Greek Islands are beautiful, but I think my favourite has to be Santorini, you must visit one day Patti. Gilda what a great post! It is so heartwarming to read about how Chloe took care of you. 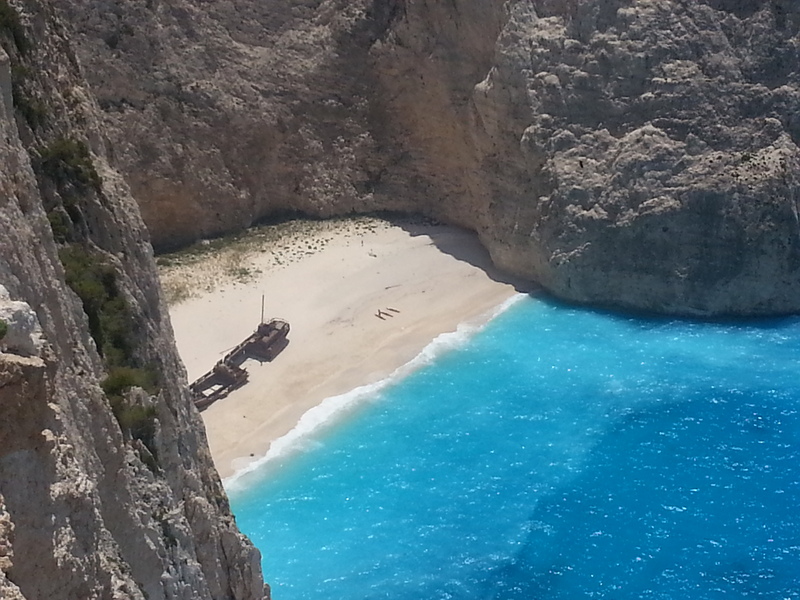 Thank you for sharing such beautiful hidden treasures of the Greek Island of Zakynthos. She was great Val, I felt so unwell and so relieved that she was there with me, a guardian angel. 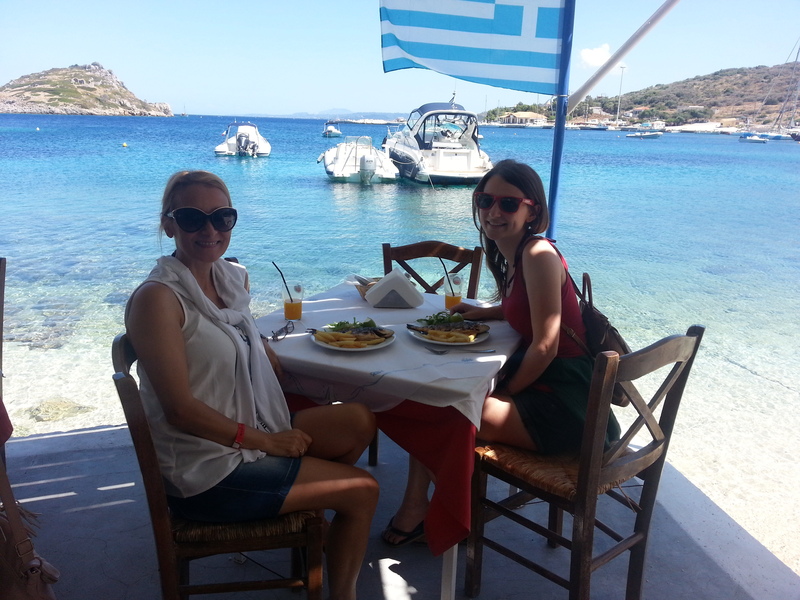 The Greek Islands are so beautiful and the food is delicious. Are you back from Brazil yet? 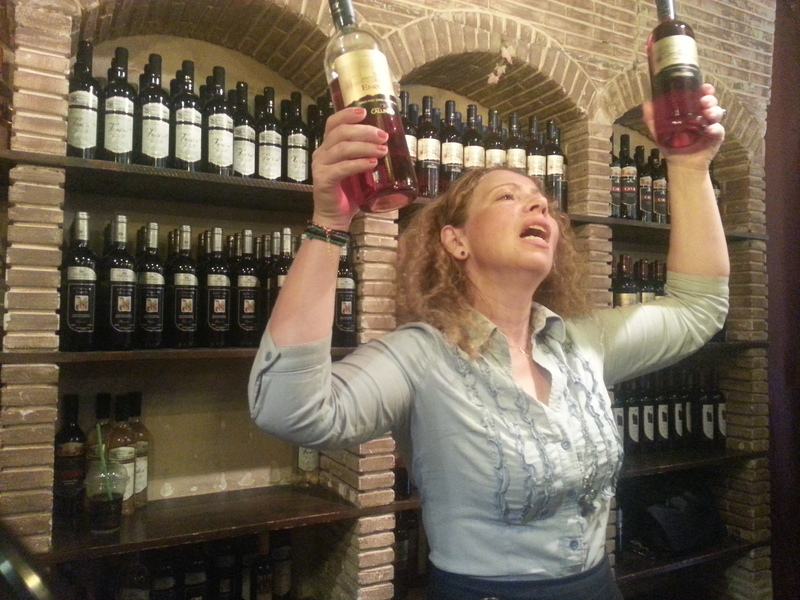 Gilda querida! Lindas fotos… uma pena q vc ficou doente mas mesmo assim tenho certeza que aproveitaram muito. Chloe é realmente uma ótima cia para as férias. Bjos nas duas!!! Obrigada Lita, foi pena mesmo pois eu queria muito ter explorado mais aquela praia do navio naufragado, mas me ensinou a lembrar sempre de tomar remedio anti enjoo hahaha. Contudo eu e Chloe adoramos Zakynthos e nossa semana juntas naquela linda ilha Grega. Nice post from a beautiful place. It is wonderful that you do these trips with your daughter. I am currently visiting my son who is doing a semester in Sevilla, Spain. Thanks for visiting my blog and happy travels, hopefully without motion sickness. Hi Anita, Indeed motion sickness is no fun at all and I was so glad to have Chloe looking after me. We now laugh about it and we have learned our lesson so in the future I will make sure to take anti motion sickness medication before boarding any boat trips. Some great photos. The views of the bay from up top are gorgeous. Thank you Frank, Zakynthos is a photogenic Island, my daughter and I did have a lot of fun there, although the sea sickness was awfull. For next time I will have to remember to take anti sickness tablets. Happy Christmas to you both. 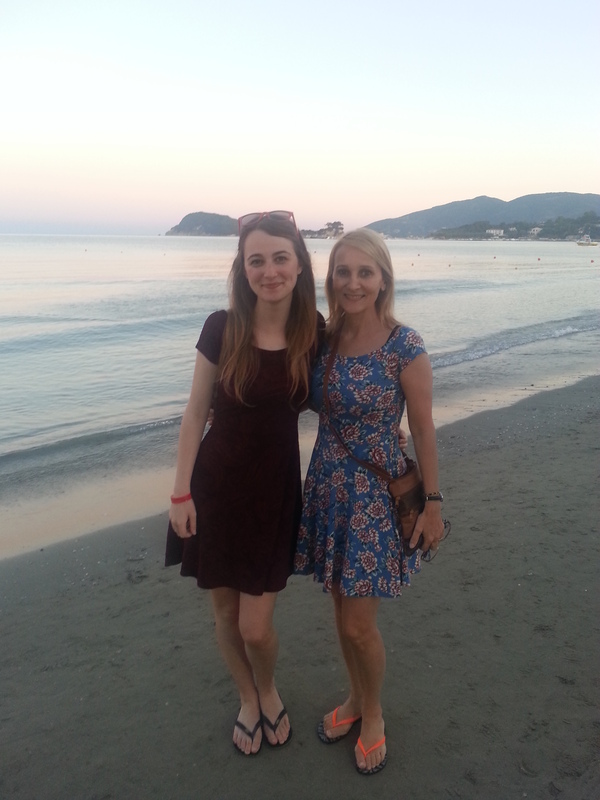 Lovely to have this special time together, and what a lovely ‘mum’ she made 🙂 🙂 Zante and Kefalonia are beautiful, aren’t they? Chloe and I try to travel together every year and I do treasure it so much. Very precious times.